What exactly is a cenote? It’s a freshwater sinkhole usually connected to an underground river system that flows through limestone passageways in the earth. 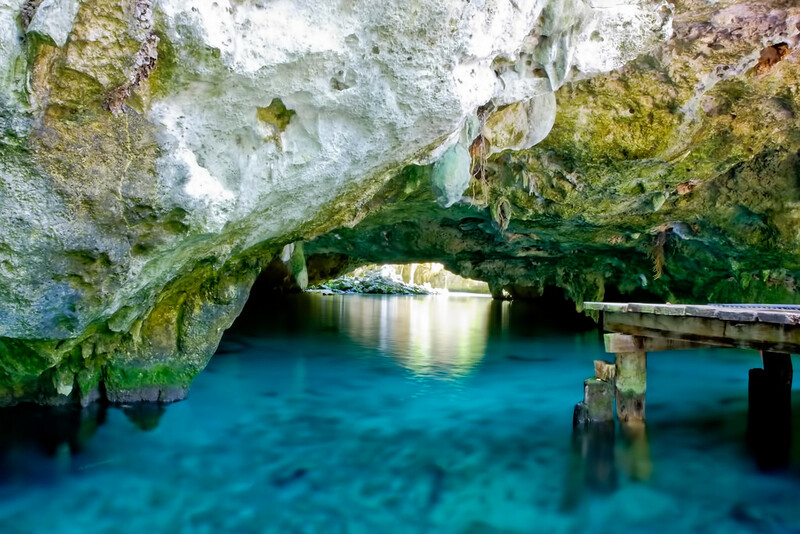 Cenotes are located all around Mexico’s Yucatan Peninsula, and a few Caribbean islands as well. It’s estimated that there are well over 6000 of them in the area. Cenotes come in many different shapes & sizes. Some are completely underground, others are semi-underground with small openings that let in sunlight, and some have no cave ceiling at all — exposed to the outside world. The water here is crystal-clear and perfect for swimming. 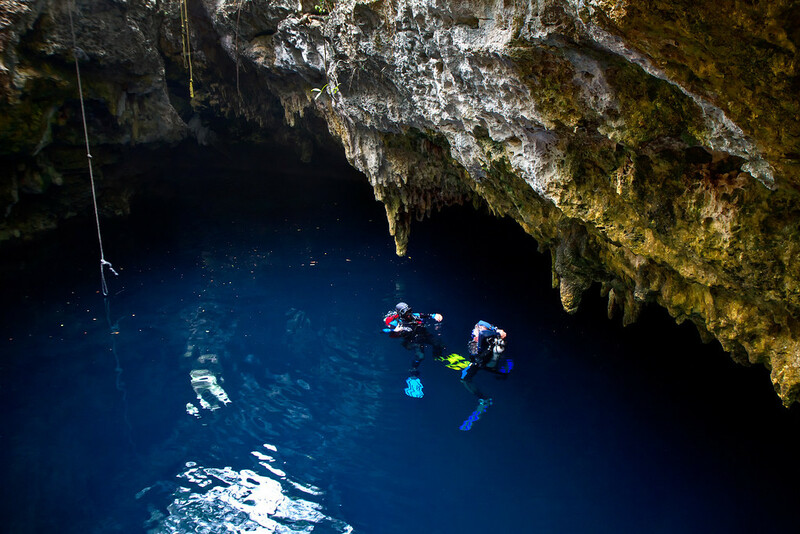 Snorkeling and SCUBA diving in a cenote are other popular activities, as there is a lot to see down there. Underwater stalactites, stalagmites, blind fish, cave fossils, and sometimes even ancient human remains are found in them. 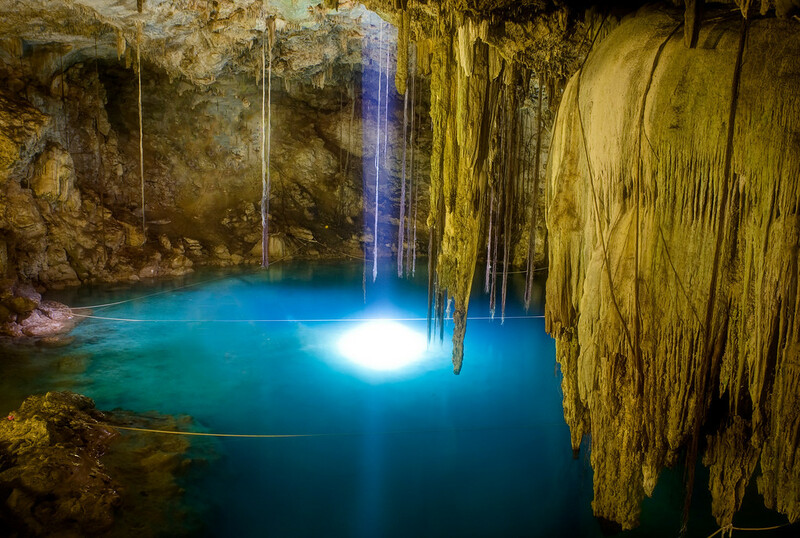 These unique water-caves are considered sacred to the Mayan people who believed them to be entrances to the underworld. They were also once used for ritual human sacrifice! 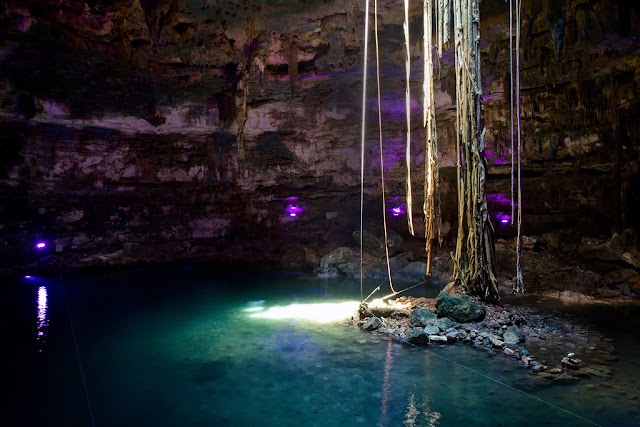 Many of Mexico’s most popular cenotes are located on private land, but you can often visit them for the day after paying an entrance fee of $2-$10 US and create your own memories of Mexico in Photos. Mexico is waiting for you!! !